There are 3 billion social media users worldwide. This makes it an ideal platform for businesses to use. Businesses can use it for reaching a wider audience, engage with existing customer base, distribute content and promote their product and services. Customer Retention Using Social Media is one way to jump-start your business to exciting new heights. It usually comes down to how well you use social media to increase brand loyalty. With customers becoming more and more aware and demanding, companies are struggling to retain customers. Social media marketing can prove to be an effective tool in companies quest to retain their customers. How can companies retain customers through social media? 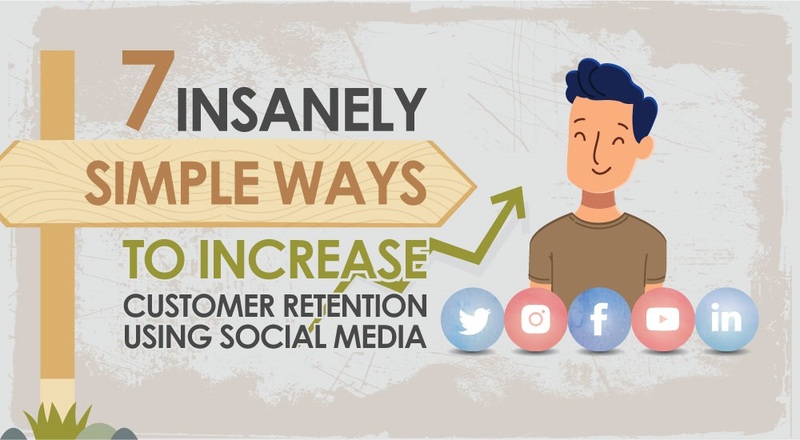 Find the answers in the infographic where you’ll learn Customer Retention Using Social Media.